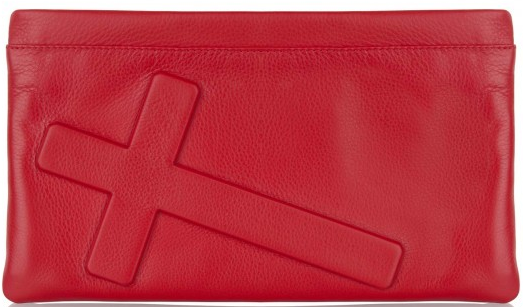 Looking for a clutch that will stun the floor? Take a look at this little sucker! Avalaible in Pistol, Handcuffs or Knife. Also in different colors to suite everyones needs. 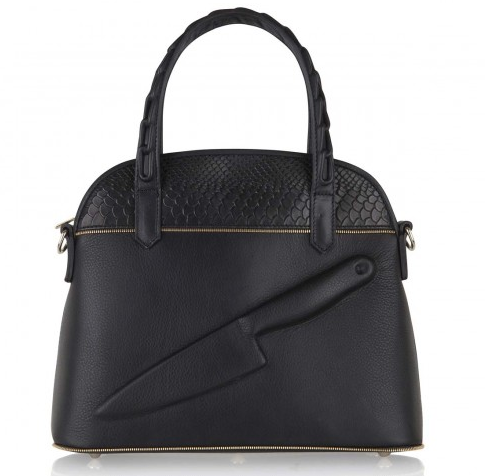 It is advised not to take this one to an airport due to the extravagant nature of the purse/handbag. 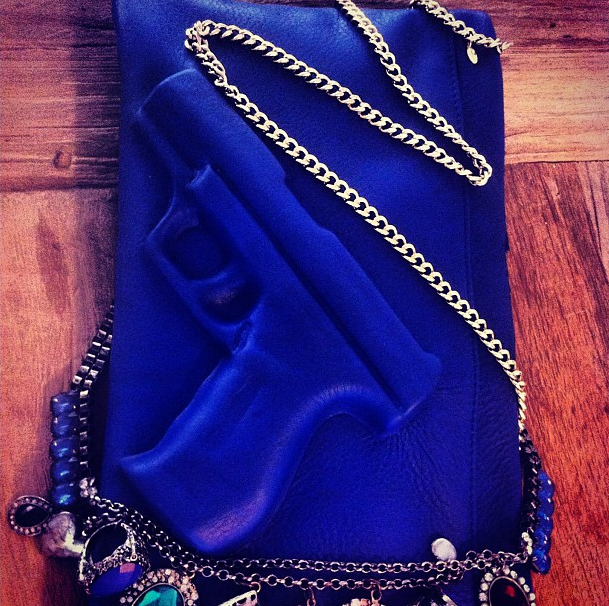 With a golden chain (that really stays gold and pretty) my blue Vlieger and Van Dam clutch bag is ready! Being also from Dutch origin Vlieger and Van Dam are the must have fashion design accessory for this summer. Extra tip! This just in: be on the look out for the Jesus cross, it’s the next big thing! Image 1: Own home made image of my clutch. Other Images: All found on the website of Vlieger & van Dam http://www.vliegervandam.com/.